When Fred Scharmer returned from North Africa at the end of World War II, he was more than ready to return to the arts. His friend Jack Davis, who had sung with the Blue Hill Troupe, suggested that Darien needed a Gilbert and Sullivan troupe. Fred, and his new wife Ida recruited singers from the Noroton Presbyterian Church, and on September 23, 1946,some 30 Gilbert and Sullivan enthusiasts met at the DCA House, and voted to call themselves “The Troupers.” They vowed to produce their first opera, “The Mikado” in exactly two months.This they did, and handsomely, on November 22 and 23, 1946, to rave reviews. By 1950 Troupers had become so popular that they recruited members of the Norwalk Symphony for the orchestra and began building sets for the performances. Today Troupers is a large enterprise, encompassing an orchestra nearing 40 and more than 50 performers and backstage personnel. Talented performers from throughout the tri-state area audition, and Troupers welcomes new members each year. Our founder, Frederic Scharmer was an artist, sculptor, singer and actor and performed nearly all the leading baritone roles with us during his long life. 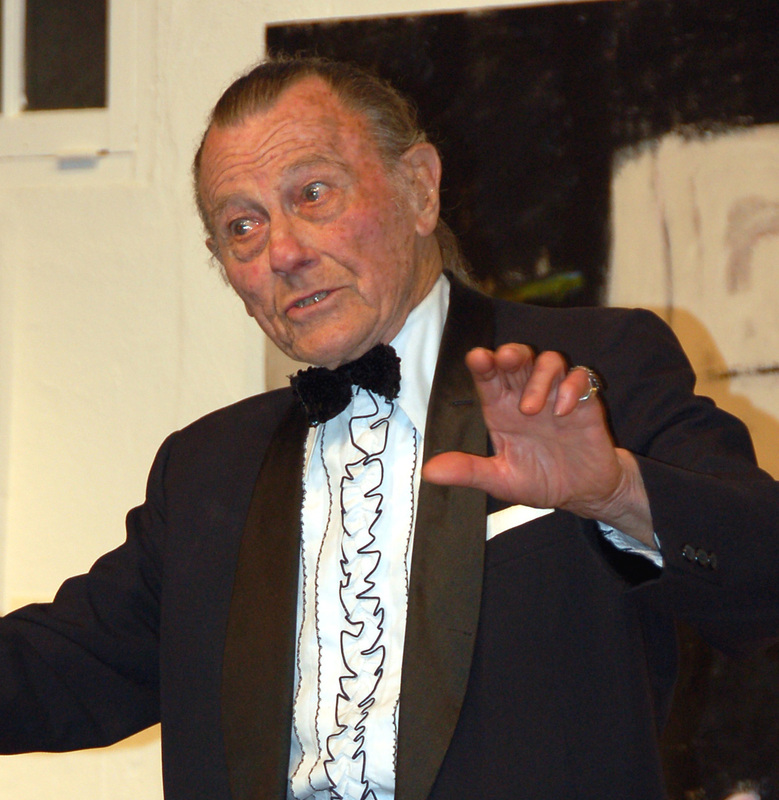 Here he is shown performing in our 2006 cabaret. He last performed with us in the chorus of GondoliersI in 2010. Fred passed away in 2011 at the age of 99.